People with diabetes need to take special care of their feet to avoid complications. Whether you are hard at work or play, summer is a time when your feet take a beating. Discover some savvy summer foot care tips for tired feet with diabetes. An image of someone strolling along barefoot on the beach looks innocent but can actually be harmful for those with diabetes. Getting a scrape, blister or cut becomes an invitation for infection. When you have diabetes, it is harder for your body to combat infections. This can cause problems maintaining your blood sugar levels and it takes longer to heal. If your blood sugar is chronically high, it can lead to nerve damage called diabetic neuropathy. People with neuropathy have numbness and may not even notice a foot injury, which can lead to open sores and ulcers. Taking a few simple precautions during the easy-going summer season can make a big difference. Never walk around barefoot indoors or outdoors. 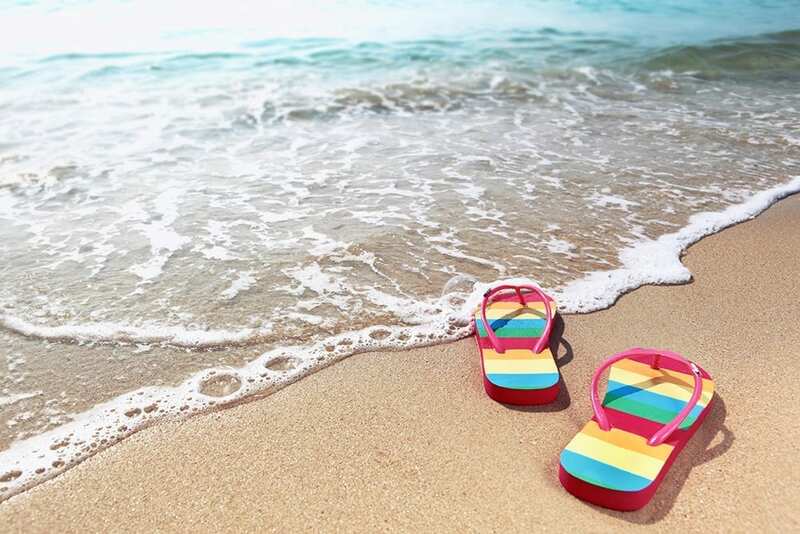 Stay away from flip-flops or sandals that do not provide proper support and leave your feet vulnerable to injury. Wear comfortable, well-fitting shoes. Investing in diabetic shoes helps provide essential support to keep your feet comfortable and healthy. Check with your podiatrist to see if you are eligible for a yearly pair. Have your feet measured to get the perfect fit. Check the inside of your shoes to ensure they are smooth with no foreign objects, such as seams, sand or rocks that can rub against your feet. Try to always wear breathable, absorbent socks with shoes. When you go outdoors, put sunscreen on the tops and sides of your feet before putting on outdoor shoes. Wear water shoes to the beach and pool. Put on supportive slippers when walking in the house. Remember, there are many ways to hurt your feet including walking on hot pavement, near campfires and grills. Keep your feet covered with shoes to stay safe. Know how to choose the right footwear. Put on walking shoes for hiking and suitable athletic shoes when you exercise, including running, sports, aerobics and working out at the gym. Avoid plastic or vinyl shoes that do not stretch or breathe. Shoes should fit comfortably and have enough room for your toes with a wide and high toe box. Stay away from shoes with high heels and pointed toes that can put pressure on your feet and toes. Shop for shoes at the end of the day when your feet are largest to get the best possible fit. The summer is a time when many people show off polished toenails. If you get a pedicure, only to go a reputable salon that has impeccably clean conditions. The best option is to have a podiatrist trim your toenails and take care of your feet. Then you can simply have your toenails polished at a salon. Many salons refer to this as a polish change, which does not involve soaking your feet or cutting your nails. Give your toes a break from polish in the summer to reduce your chance of fungus in the nails. If you visit a spa, advise the technician to trim your toenails straight across and give a light massage with a tub of cool water. Tell the technician not to clip your cuticles or file any calluses. If you can comfortably reach your toes, you can follow these tips to give yourself a soothing pedicure at home. Talk to your doctor about the proper way to remove calluses. Do not cut or clip them. If your doctor advises you to use a pumice stone, use it gently to slough away dead skin. Rub in one direction to avoid tearing the skin. It is not advisable to use liquid corn and callus removers, corn plasters or razors as they can damage your skin and lead to infection. Wash your feet every night with warm water and gentle soap and then dry them completely with a soft towel. Put lotion on your feet, avoiding the areas between your toes. If your feet perspire, put a light layer of cornstarch powder in the areas between your toes. Check your feet for injuries or irregularities daily. If you have trouble seeing the bottoms use a long-handled mirror to view those areas. Treat wounds immediately and see your doctor about injuries that do not heal. 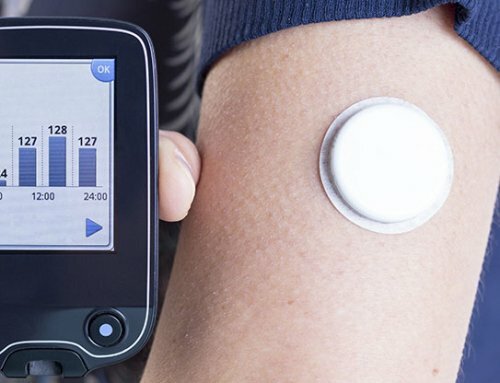 Monitor your blood sugar levels and keep them controlled. Follow the treatment plan provided by your doctor, including proper diet, regular exercise and taking your medications. Remove your shoes and socks during regular physical exams so the doctor can check your feet. Visit a podiatrist regularly to inspect your feet and keep them in the best possible condition. Summer generally brings beautiful weather and fun in the sun. Make sure to take care of your feet during all of your summer adventures. 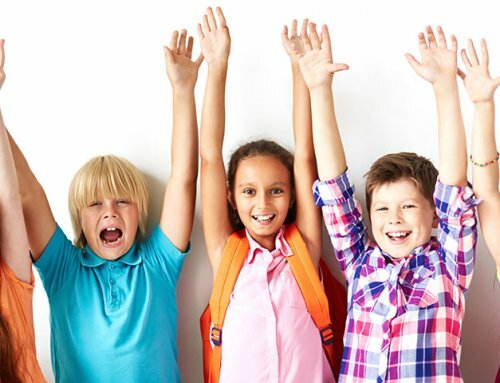 A few basic precautions can help your feet stay healthy so you can participate in all the summer fun to come. This is some really good information about diabetic care for your feet. My grandfather just found out that he is a diabetic now. So, it is good to know that he will need to keep his feet warm. Thanks for going over some ways to take care of your feet during the summer. I’m glad that you mentioned it could be good to try to wear flip-flops or sandals that have proper support. I’m kind of interested to learn if these kind of shoes should be custom-made or if there are some designs that can give someone support for their feet.